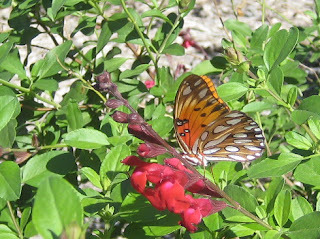 These photos of gulf fritillaries were taken at the Heard Nature Sanctuary in McKinney, Texas, not on my school playground. 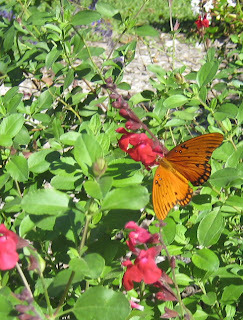 They show the beautiful butterfly, but not the red cypress vine flowers attracting it to our playground. 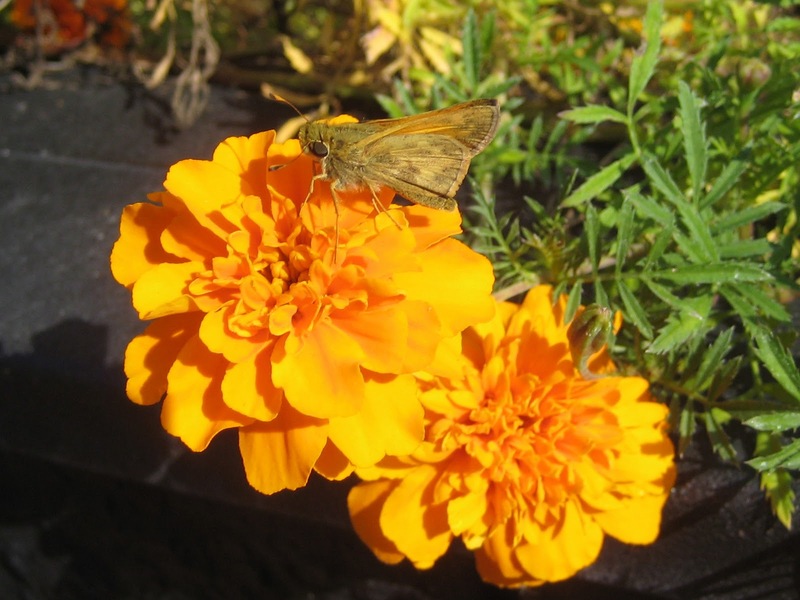 The preschoolers are sufficiently impressed by the silver spots on the underwings to distinguish this butterfly from a Monarch. Sighting a "flutterLarry" on the cypress vine can even distract them from their game of XTreme Duck, Duck, Goose. Our kids' version varies slightly from other "extreme" versions described in the Wikipedia entry. We seem to have at least three ducks and three geese running all over the playground. Some of them seem to have special superpowers "with smoke coming out". I am XTremely pleased with any version that wears kids out for naptime! Still, it is a shame to leave the fall noon playground with the flutterLarry on the cypress vine and skippers on the marigolds to go inside for naptime.